At the National Maritime Awards Dinner held on April 21st at the National Press Club in Washington, DC, the Chairman of the Naval Historical Foundation, Admiral William J. Fallon announced that Christopher McKee, currently a Scholar-in-Residence at the Newberry Library in Chicago, will receive the foundation’s prestigious Commodore Dudley W. Knox Medal for Continuing Lifetime Achievement in the field of naval history. The medal will be formally presented at the conclusion of the forthcoming North American Society for Oceanic History conference to be held in Portland, Maine from May 11 to 14, 2016. Christopher McKee is the Samuel R. and Marie Rosenthal Professor Emeritus at Grinnell College, Grinnell, Iowa. Born in Brooklyn in 1935, McKee graduated from Houston’s University of St. Thomas in 1957 and completed his Master of Library Science degree from the University of Michigan in 1960. Before joining the faculty at Grinnell College in 1972, McKee held posts with Washington and Lee University and Southern Illinois University. He also held the Secretary of the Navy Research Chair at the Naval Historical Center from 1990 to 1991 and was an NEH Fellow at the Newberry Library from 1978 to 1979. McKee first made his mark in the field with Edward Preble: A Naval Biography, 1761-1807. First published in 1972, the study broke new ground. Unlike earlier studies of the that war written strictly from the American perspective, McKee made an effort to understand the policies of the Tripolitans and used French consular reports to gain insights to Preble’s negotiations with the Pasha. 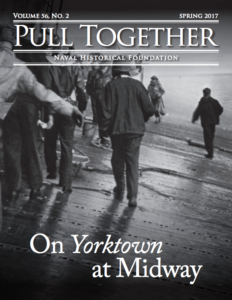 Recognizing the book’s continuing relevance, the Naval Institute Press republished the book in 1996 as part of its “Classics of Naval Literature” series. 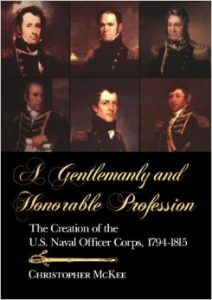 His second book A Gentlemanly and Honorable Profession: The Creation of the U.S. Naval Officer Corps, 1794-1815 set a standard of creative scholarship that few books on the early history of the U.S. Navy equal. Published in 1991, it earned the prestigious John Lyman Book Award from the North American Society for Oceanic History, and the Samuel Eliot Morison Award from the USS Constitution Museum. From there McKee moved into the study of enlisted sailors which led to the 2002 book Sober Men and True: Sailor Lives in the Royal Navy, 1900-1945 where he asked important questions other historians have not asked and discovered answers from sources that other historians have not consulted. In addition to books, McKee has produced essays and articles that include “Constitution in the Quasi-War with France: The Letters of John Roche, Jr. 1798-1801,” American Neptune 27 (1967); and “The U.S Navy, 1794-1860: Men, Ship, and Governance,” in James Bradford’s A Companion to American Military History (2010). His chapter in Bradford’s Command under Sail: Makers of the American Naval Tradition on Edward Preble significantly reinterprets Fletcher Pratt’s long accepted narrative on “Preble’s boys” and his article in the William and Mary Quarterly 42 (1985) titled “Foreign Seaman in the United States Navy: A Census of 1808,” provides demographic details extracted from an officer’s report about the national origins of 103 Marines and 316 Sailors who served under him. 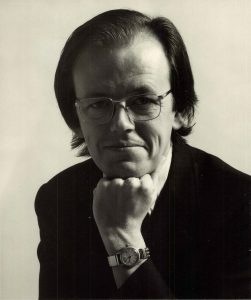 I n addition to his teaching, research, and writing, McKee has been involved with numerous academic organizations. 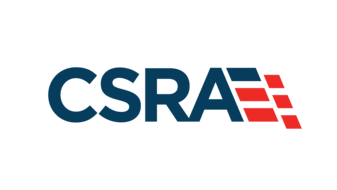 In addition to the Naval Historical Foundation, organizations that he has been active with include the North American Society for Oceanic History, Canadian Nautical Research Society, Society for the History of Navy Medicine, the U.S. Naval Institute, as well as the Organization of American Historians and Society of Historians of the Early American Republic. 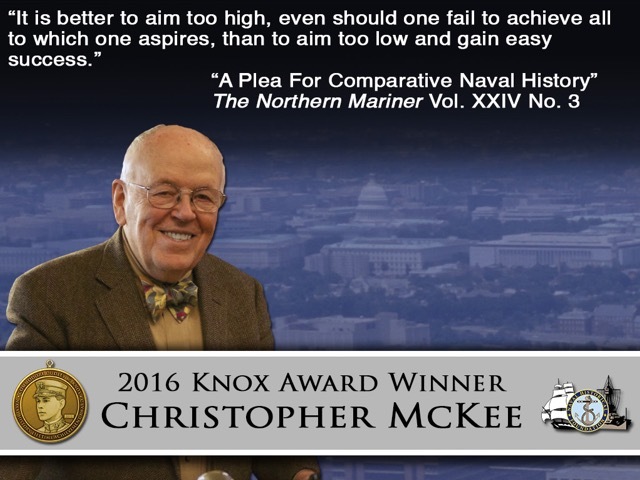 With his participation in the annual meetings of these organizations and attendance at numerous conferences (he has attended every single Naval Academy history symposium since that conclave started in 1977), McKee has made himself accessible to upcoming military and naval scholars interested in 18th and 19th century history. Samples where McKee is cited for his able assistance in producing path-breaking scholarship include: Linda Maloney, The Captain from Connecticut: The Life and Naval Times of Isaac Hull (Boston: Northeastern University, 1986); William B. Skelton, An American Profession of Arms: The Army Officer Corps, 1784-1861 (Lawrence: University of Kansas Press, 1992); Ira Dye, The Fatal Cruise of the Argus: Two Captains in the War of 1812 (Annapolis: Naval Institute Press, 1994), and again with Uriah Levy: Reformer of the Antebellum Navy (Gainesville: University Press of Florida, 2006); William P. Leeman, The Long Road to Annapolis: The Founding of the Naval Academy and the Emerging American Republic (Chapel Hill: University of North Carolina Press, 2010); and Myra C. Glenn, Jack Tar’s Story: The Autobiographies and Memoirs of Sailors in Antebellum America (New York: Cambridge University Press, 2010). Now 80 years old, McKee continues to press on. Having written on enlisted life in the Royal Navy, McKee has returned to this side of the Atlantic, where he is completing a manuscript with the tentative title of Ungentle Goodnights: Life in a Home for Elderly Naval Sailors and Marines, 1891-1895, a social history based on the lives of the first 541 enlisted beneficiaries admitted to the United States Naval Home in Philadelphia. McKee’s selection for the Commodore Dudley W. Knox Medal will make him the eleventh individual to receive this prestigious honor since the Naval Historical Foundation established the award in 2013. Previous recipients include: Dean Allard, Thomas Cutler, Kenneth Hagan (2015); John Hattendorf, William Dudley, Craig Symonds, and Harold Langley (2014); and James Bradford, Phillip Lundeberg, and William Still (2013). Nominations for the 2017 award are welcome through foundation’s website www.navyhistory.org.